Luann Powers is the school nurse at Auke Bay Elementary School. 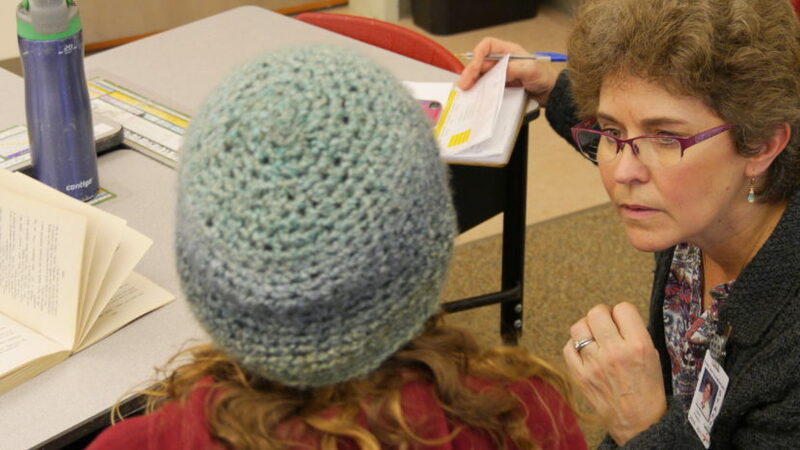 She’s in a class checking on a student whose blood sugar is too low – which can be dangerous, unlike head lice. Head lice are an ongoing problem for Juneau schools and Powers said this is a common time of year to find them. She said lice are mostly a social problem. “Head lice are a little creature that is spread through contact … close contact of, it could be hats, combs, any kind of headgear, clothing, bedding,” Powers said. The creepy crawlers don’t mean an automatic ticket home. 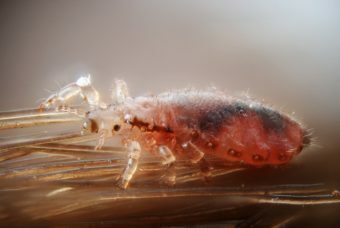 Only live lice can keep a kid out of school and Powers said when they’re found, usually the host student can stay through the end of the day. “Because if they’ve had them in the morning, they’ve probably had them for a few weeks anyway once they’re noticeable,” Powers said. 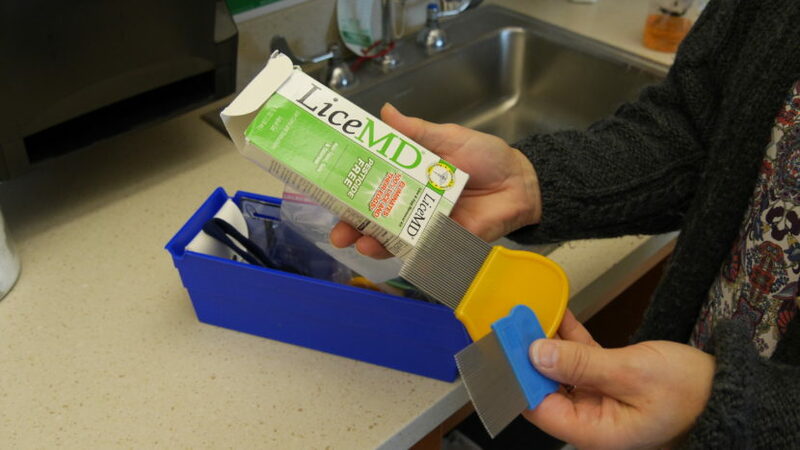 Parents are asked to get rid of the lice when they get home and then the student will be checked when they return the next day. If there are still live lice, the kid goes back home until they’re gone. Scratching can lead to infection if the kid’s fingernails are dirty. Powers said it’s especially important to educate parents about how to get rid of lice using special hair products. “Over the counter products that families use, such as Nix or RID and LiceMD is another product in the community,” Powers said. “It’s a cream rinse or a type of shampoo that they are supposed to leave in the hair for a certain period of time and then rinse it out, and then it’s a matter of combing out the nits. Nits are lice eggs. Powers said nits aren’t enough to force kids out of school, but they aren’t welcome either. Powers said some products claim to remove them, but she still advises parents to literally nitpick their kids using special combs to take them out. This can take as long as two hours. Powers said people who catch head lice are often considered dirty, but that’s not accurate. She said lice can be caught by anyone and kids tend to catch them outside of school. “As a matter of fact, I used to work for a pediatrician a few years ago and he said, ‘Gosh, if you haven’t had head lice, you haven’t had friends,’” Powers said. Powers said when she finds lice, she tries to be discreet and downplays the situation for the kids’ self-esteem. But she said in her experience, it’s usually the adults who overreact.